tte risks and uncertainties in agriculture are directly related to the nature of weather and climatic hazards and their associated damages, and their potential impacts on loss of crops, animals, land, produce, etc. Agrometeorological services play a valuable part in making daily and seasonal farm management decisions and in management of risks and uncertainties pertaining to agriculture, forestry, rangelands, environment, and livestock. Agriculture is one of the most weather dependent industries. It is the world's single largest employer and one of the main sources of export earnings, thereby significant from foreign exchange point of view (Sivakumar et al. 2004). Weather is defined as "the day-to-day condition of the atmosphere at a particular place and given instant of time," whereas, climate is "the summation of weather conditions over a given region during a comparatively longer period." tte knowledge of weather is essential in the daily management of crops and animals, and the science of climate aids in the selection of crops and animals. Of all the weather elements, solar radiation controls organic life by heating the earth and atmosphere and also provides the energy required in photosynthesis for the conversion of carbon dioxide and water into primary source of food (carbohydrates). Air temperature influences rates of biochemical reactions in crops (approximately double with each 10°C rise in temperature), leaf production, expansion, and flowering. Soil temperature influences crop production. Murthy et al. (2002) mentioned that both cold and heat waves and abnormal soil temperatures are risks to crop growth and development. Humidity is an important factor in crop production and is closely related to rainfall and temperature. It is of great importance in determining the vegetation of a region and affects the internal water potential of plants, which in turn, determines the water requirements of crops, tte significance of wind on crops and animals was reported by several authors, among which Murthy (2003) reported that the moderate wind turbulence promotes the consumption of carbon dioxide in photosynthesis and prevents frost by disrupting the temperature inversion, tte economy of many nations, more so the under-developed and developing countries, depends largely on the amount and distribution of rainfall received each year, ttis is a significant agricultural input because rainfall is the major source of water, which is essential for seedbed preparation and plant growth and development. Plant physiological processes like cell division and enlargement depend largely on water (rainfall), which in turn influences plant growth and development. Agriculture, rangelands, and forestry are highly dependent on weather and climate. Climate change is inevitable and the impacts are visible, which are adversely effecting the environment. Anderson (1990) defines natural disasters as "the temporary events triggered by natural hazards that overwhelm local response capacity and seriously affect the social and economic development of a region." Increasing climate variability and anthropogenic climate change lead to floods, cyclones, earthquakes, hurricanes, tornados, snow storms, avalanches, tidal waves, heat and cold waves, land slides, forest fires, droughts, blasting mildew, frost, droughts, sand and dust storms, etc. ttese are the natural disasters that principally impact agriculture, rangelands, forestry, and worldwide environmental degradation. Infor mation on natural disasters and trends is basically available from global databases that provide essential information on the occurrence, recurrence, and location of disasters and disaster trends over time (World Disaster Report 2003). tte natural disasters, risks, and uncertainties of weather and climate have shown an increase from 1993 to 2002. ttere is evidence of this from diiferent parts of the world. Of a grand total of 2,654 disasters during this period, floods and windstorms account for about 70% and the remaining 30% of the disasters are accounted for by droughts, landslides, forest fires, and heat and cold waves. At the regional level, in South East Asia and Bangladesh over the last century, 700 disasters have occurred of which 23% were between 1900 and 1979, and 77% between 1972 and 1996. For the Latin American and Caribbean region, Charveriat (2000) showed a noticeable trend of increase in the frequency of natural disasters. Loss in crop and animal production and land degradation from droughts that occur twice a year cost Australia billions of dollars, tte economic cost associated with all natural disasters has increased 14-fold since the 1950s (World Disasters Report 2001). Worldwide, annual economic costs related to natural disasters have been estimated at about USD S50 to S100 billion, tte world land use data (FAO 1999) show that 70% of the global land use is for agriculture, rangeland, and forestry with 12% of the land use for arable and permanent crops, 31% for forest and woodlands, and 27% for permanent pasture. 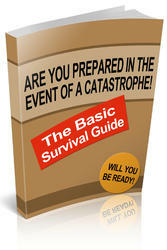 By the year 2050, it is predicted that the global cost to natural disasters could top USD S300 billion annually. In India, according to Roy et al. (2002), the Orissa state has been disaster-affected for 90 years (floods have occurred for 49 years, droughts for 30 years, and cyclones have hit the state for 11 years), tte United States experienced more disasters between 1970 and 1999 than any other region, but the impact on national development was not as severe as in some of the developing countries. For example, Hurricane Andrew in 1992 caused a total damage of USD S26.5 billions in the United States, but it was a mere 0.4% of GDP. Germany, Italy, Portugal, and Spain identified as countries most affected. One of the major impacts of droughts is regressive distributional effects across communities and across households within communities. Scott and Litchfield (1994) provided evidence of these impacts in the rural regions of Coquimbo in Chile where inequality and poverty at the community level increased significantly in Las Tazas due to the cumulative effects of very low rainfall over the years, tte projected climate change and the attendant impacts on agriculture in the arid and semi-arid tropical regions add additional layers of risk and uncertainties to agricultural systems that are already impacted by land degradation due to growing population pressures. Rangelands include natural grasslands, savannas, shrub lands, most deserts, tundra, alpine communities, coastal marshes, and wet meadows in certain parts of the globe, ttese expanse lands are suitable for livestock to wander and graze on. Due to the impact of natural disasters on rangelands, it was estimated that hundreds of thousands of people died and nearly half of the entire livestock herds and two million herds of wild animals were killed due to the severe droughts and land desertification at the southern edge of the Sahara desert. Droughts cause inappropriate herding practices, forcing liquidation of livestock at depressed prices (Sivakumar et al. 2004). Cyclones cause destruction of vegetation and livestock in rangelands. Similarly, floods are the greatest natural disasters that cause extensive damage to rangelands because of loss of pasture use, permanent damage to perennial crops, trees, livestock, etc. Impact ofnatural disasters on forestry tte forests cover nearly 30% (3,500 Mha) of the world's land area, tte response of forest ecosystems to climate change, risks, and uncertainties can be expressed in terms of boundaries shift, changes in productivity, and risk of damages (e.g. forest fires). In Europe, most climate change scenarios suggest a possible overall enlargement of the climatic zone suitable for Boreal forests. During 1982/83 and 1994/95 El Niño events, South East Asia experienced severe smoke and haze episodes associated with the forest and bush fires due to reduced rainfall and drought conditions. According to the National Interagency Fire Center (NIFC) published material covering the period January 2003 to early November 2003 inclusive, around 56,000 United States' wild fires have affected 3.8 million or so acres. Forest fires are another natural disaster that causes large scale damage to plants, animals, and human lives and property. Forest fires seriously affect human health, economy, and environment, tte extent of damage to human health from smoke inhalation depends on the constituents of smoke, concentration, and exposure time, tte environmental impacts from forest/bush fires range from local to global. Local im pacts include increased soil degradation, increased risks of wet-season flooding and dry-season drought, reduced number of animals and plants, and increased risk of recurrent fires, tte global effects of these fires include the release of large amounts of various amounts of greenhouse gases, reduced rainfall, and increased day lighting and reduction of biodiversity through extinction of populations and species. Emissions from forest fires are lofted high into the atmosphere and significantly impact air quality on local, regional, and even global scales, tte forest fire plumes are known to contain a highly variable mix of gases and particulate pollution. Droughts, floods, heat waves, frost, and extreme weather periodically wreak havoc on crops, pastures, livestock, and contribute to pollution both downstream and offfarm. Environmental degradation is one of the major factors contributing to the vulnerability of agriculture, forestry, and rangelands to natural disasters because it directly magnifies the risk of natural disasters, or by destroying natural barriers leaving agriculture, forestry and rangelands more vulnerable to their effects. Deforestation, land clearing, weed invasion, and loss of wetlands could lead to ecosystem alteration, including changes to vegetation cover and composition and the incidence of diseases and pests on plants and animals. Water erosion, wind erosion, siltation and sedimentation, and coastal erosion could result in transport of soil and deposition elsewhere. Soil salinity, degradation of soil structure, soil fertility decline, soil acidification, water logging, and soil pollution could lead to soil degradation, involving the alteration of soil properties in situ. Clearing of vegetation, rapid abandonment of exhausted cropland, and expansion of cropping into new and marginal land all set up a vicious pollution cycle that is hard to break. Poverty and environmental degradation are closely linked, often in a self-perpetuating negative spiral in which poverty accelerates environmental degradation and degradation results in or exacerbates poverty. While poverty is not the only cause of environmental degradation, it does pose the most serious environmental threat in many low income countries. Expanding aquaculture could also increase pollution and the use of scarce water and land resources, threatening the environment in under-developed and developing countries. Human beings (Homo sapiens) have been on the earth for approximately two million years, ttey have been hunters and gatherers for 99.5% of their existence, ttey started domesticating plants and animals only 10,000 years ago. Of all the human endeavors, agriculture is the first sector in which there is evidence to show dependence and strong relationship with weather and climate. However, humans were often mystified and frustrated by the variability of the weather, climate, and seasons. tterefore, they developed some agrometeorological services and managed their environments for generations by following environmentally-friendly agricultural practices (Reddy 2002) and without significantly damaging local ecologies (Singh et al. 2004). ttis is strong proof that indigenous knowledge has immense potential to manage the disasters, risks and uncertainties like climate change and variability, floods, cyclones, droughts, and pests and diseases on crops and animals through agrometeorological services. ttese services were developed by humans based on their understanding of weather and climatic patterns. Such services have been used over the centuries and continue to be used right up to the present day. tte ITK products on weather in Asia are strong knowledge pools developed by different communities through keen observations, natural selection, and centuries of trial and error. All Asian cultures and civilizations have developed a form of astrology to understand seasons and weather in relation to movements of planets. As the position of planets was predetermined, the rainfall was forecast for any time in future, tte first agrometeorological service developed and being used in the present day modern technology era in India is the classical Hindu almanac known as "Panchanga" (Murthy 2003). It is a book or record of astronomical phenomena containing calendar days, weeks, and months of the year. Weather prognostications, predicted rainfall distribution, based on cropping patterns and area were decided for a state or country. tte other ITK based agrometeorological services in India include the use of calotropis to control thrips and mealybugs, the use of cow dung cake gas as burrow fumigant, and use of bow traps to control field rats, use of leaf powder of Margosa (Azadiracha indica), Nicotine (nicotiana tobaccum) and extract of custard apple (anona squamosa) for pest control on crops and animals and storing the grains in wooden bins. In addition, different species and varieties of crop seeds are mixed and sown to delay the onset and spread of pests and diseases, which also modify the micro climate for better harvest of all crops, tte Himalayan farmers maintain their own rangelands plus a share in village managed community rangelands. ttey rare the animals and use cow and buffalo milk and milk products during failure of crops in drought situations. According to Dafu et al. (1990), the farmers of China in mountainous regions follow irrigated (level), dry (bench), and complex (bench + level) terracing to manage water scarcity for crops and rangelands. Similarly, farmers in Pakistan follow the same practices to derive the same benefits in addition to sustaining the productivity of mountain soil against landslides (Bhatt 1992). It was stated by Singh et al. (2004) that "three north" system of shelterbelts was evolved a few thousand years ago and is still being practiced in China, ttis system protects the existing forests and rangelands against flood damages. Alteri (1991) described an indigenous system called waru-warus followed in Peru for over 3000 years, ttis system consists of a platform of soil surrounded by ditches filled with water. During droughts, the moisture from canals slowly ascends through the roots in capillary action, and during floods, the furrows drain away excess run off. ttis system produces bumper crops even in the events of both droughts and floods. In Mexico, a low-cost and self-sufficient farming system called chinampa has been practiced for centuries. In this system, small plots of land are prepared, which are separated by water channels, tte water in the channels helps to grow fish and is also useful for irrigation (when in excess) and when scanty (drought), plants grown in the sides of chinampas give income to the farmers, tte "Sami" are the indigenous people in the northern Scandinavia, ttey live in Sweden, Norway, Finland, and Kola Peninsula of Russia, ttey are a 70,000 strong population of which 16% of 17,000 Swedish Sami are still reindeer herders who live in close contact with nature, ttey are not nomadic because the reindeer herding is their culture. However, they follow the path of reindeer, an agrometeorological service, between summer grazing lands in mountain regions and winter grazing lands in forests. Weather and climate data systems for agricultural activities are necessary to expedite the generation of products, analyses, and forecasts (Sivakumar et al. 2004) to develop preparedness measures against natural disasters, management strategies for risks and uncertainties in agriculture, forestry, rangelands, and environmental protection (Rao et al. 2004). tte following products, tools, and services of contemporary science and information technology have been providing newer dimensions to effectively monitor and manage the weather and climate related disasters, risks, and uncertainties. NOAA-AVHRR chl and ch2 data following an empirical relationship for broad band albedo and narrow band albedo, ttapliyal et al. (2004) used microwave radiometer data for assessment of drought with 6.6 GHz brightness temperature, ttey are developing a suitable index to indicate the severity of drought conditions over India. According to Susman et al. (1983), a methodology was developed to estimate flood damage to rice production using temporal synthetic aperture radar data. It was concluded that the method could easily be adopted to estimate flood damage to the crop by just acquiring a single date data coinciding with the flood event. It is observed that the methodology is cost-effective in Indian context where rice is grown over 30 mha, often in a large contiguous area as a single most dominant crop during rainy season. Madhavi et al. (2004) analyzed IRS WIFS data at 10-day intervals over the Raisen Forest division in India and assessed the spread of fire damaged areas in different forest segments, tte studies provided information on progression and recovery of fire burnt areas, which are quite useful in planning for control operations. tte review ofjayasheelan and Chandrasekhar (2002) indicates that GIS refers to a description of characteristics and tools used in the organization and management of geographical data, tte term GIS is currently applied to computerized storage, processing and retrieval systems (Murthy 2006) that have hardware and software specially designed to cope with geographically referenced spatial data and corresponding informative attribute. GIS enables management of large datasets such as traditional digital maps, databases, and models, tte quantitative data handling capability offered by GIS would assist the users to overlay numerous spatial data sets and statistically analyze the same, trough this procedure it is possible to develop quantitative relationships which are not achievable through the use of simple map drawing or graphics display programmes. GIS technology is a powerful agromete-orological tool for combining, or overlaying, various map and satellite information sources in meteorological and climatological models that simulate interactions of complex natural systems, tterefore, it is possible to prepare decision support systems based on GIS to manage weather related disasters, risks and uncertainties, ttese tools are state-of-the-art technology for appropriate planning, coordination, and monitoring of these events, tte expected cyclone characteristics, rainfall patterns, water levels in rivers, environmental impact assessments and vulnerabilities, can assist in modeling disaster consequences accurately, ttey can also help to evolve effective decision-making on logistic and infrastructure requirement and their development in an area. tte ultimate use of GIS lies in its modeling capability, using real world data to represent natural behaviour and to simulate the effect of specific processes. With this scientific background the frost risk map and the desertification climatic index were developed using spatial modeling with GIS, at the Portuguese Institute of Meteorology. On the same lines several information products (soils, crops, and meteorology) were integrated in ISOP project in France, which is in operational use and it assesses real-time forage production over France, tte prediction and management maps of chilling injury ofbanana and litchi trees were developed using GIS in Guangdong province, China (Wang et al. 2003), which are highly successful and are being used by the farmers. A new major programme LANDFIRE uses GIS technology to map all wildfire fuels across the United States at 30m spatial resolution, ttis is intended to be the safety net for land management agencies. A few studies have focused on the collection of historical data and habitat conditions with the dynamics of locust development stages, and synthesis of data using GIS and evolving decision support systems (Hodell et al. 1995). ttis system integrates remotely sensed and farm soil texture, soil moisture and vegetation density with the daily weather data to forecast the suitable breeding sites and time of onset of locust upsurge in and around study area. Reliable drought interpretation requires a GIS based approach, since the topography, soil type, spatial rainfall variability, crop type and variety, and irrigation support and management practices are relevant parameters, tte conventional methods of surveying and navigation require tedious field and astronomical observations for deriving positional and directional information, tte GPS service consists of three components: space, control, and user. Rapid advancement in higher frequency signal transmission and precise clock signals along with advanced satellite technology have led to the development of GPS (Ramesh et al. 2004). tte outcome of a typical GPS survey includes geocentric positions accurate to 10 m and relative positions between receiver locations to centimeter level or better, tte capabilities of surveying, mapping, and locating geophysical positioning of GIS immensely help in combating the natural disasters in agriculture, forestry, rangelands, and effective control of environmental pollution. cessful communication network for efficient communication of agrometeorological services. In a developing country like India, NCMRWF's weather forecast bulletin for the subsequent three days is disseminated biweekly to AAS units every Tuesday and Friday over the telephone, telefax, or satellite based very small aperture terminal (VSAT) communication system, tte VSAT system has the capabilities for reliable interactive data communication and picture transmissions. Also, dissemination of short- and medium-range forecasts to the farmers is operational through radio and television, tte long-range forecast regarding onset of monsoon seasonal rain is disseminated through newspapers, tte newly developed agrometeorological techniques are being communicated through the extension workers who reach the end users directly (Kashyapi 1998). tte introduction of the satellite-based cyclone warning dissemination system in the 1980s in Andhra Pradesh state of India was the single most important step to improve the speed and credibility of transmission of warnings for operational use by the farmers, tte farming communities in a developed country like Germany are interested in receiving the longest-term and most exact weather forecasts possible, as well as information about the expected conditions at the production sites, tterefore, telefax, T-online, and agrometeorological online services are in operation (Rudolph 1998).